Home / What a Silly Bird! 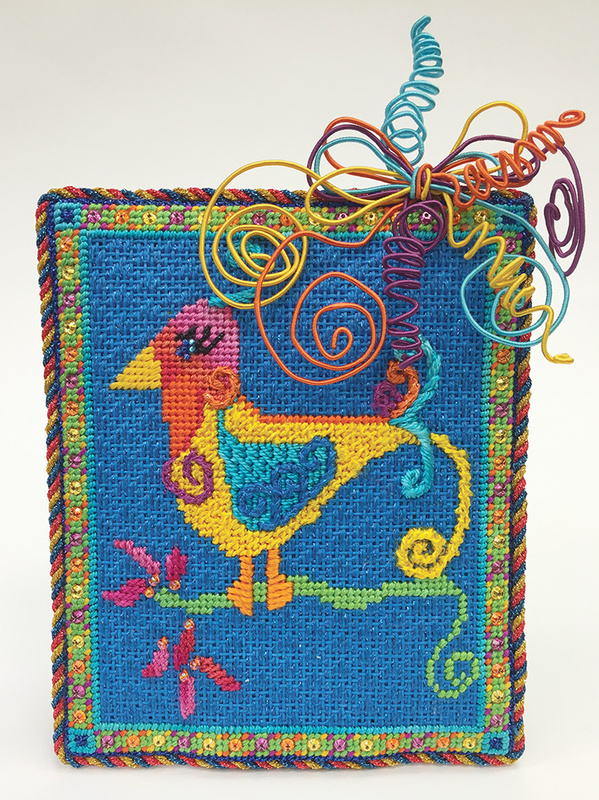 Featured in the current issue of Needlepoint Now you will find Kimberly Smith’s Silly Bird. It’s a quick little project with lots of fun threads. You know we love Kimberly’s canvases and this one doesn’t disappoint. Dawna Freeland selected the stitches for this canvas and it’s charming! So many different threads, beads, crystals and stitches! 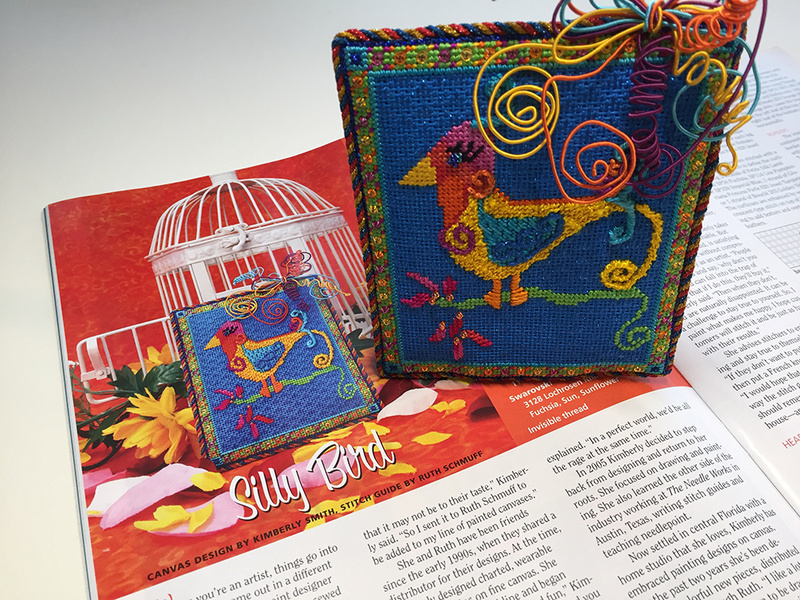 If you would like to stitch your own Silly Bird, give us a call at 410.296.0405, or order online. More canvases will be arriving shortly. You will need the January/February issue of Needlepoint Now for the stitch guide.